The Sign of the Cross has a special connection to baptism. It is traced by the Church on the forehead of the catechumen before baptism. It is a sign that this life has been brought under the shadow of Christ’s work of redemption. It marks the soul as the Lord’s special possession and erases all absolute claims any principality or power attempt to make over it. Whenever we make this sign, we renew our baptismal promises. These promises include the rejection of Satan, his work, and his empty promises. Without Christ, we are under our adversary’s rule, implicated in his work, and deceived to act against our own integrity. By blessing ourselves, we renew our declaration of freedom and defiance in the face of evil. It is our visible profession that we have died to ourselves in the waters of baptism and that we have been raised up with new life not subject to the devil’s dominion. We choose instead to live by faith in Christ Jesus and declare that the fruit of His obedience has triumphed over the power of sin in us. Extending the Cross from our head to our gut, from shoulder to shoulder is a disavowal of every project and design that would tear down, confuse, deceive, and foment hostility to human dignity and life. This sacred gesture declares that we will not implicate ourselves or our resources to anything that will diminish the dignity of our neighbor or ourselves. We signify our resolve that evil work will have no place in our lives, even if this means having to suffer great evil and humiliation for the sake of Christ. The gesture of the Cross and the invocation of the Trinity repudiate Satan’s every suggestion that we can achieve something good by doing something evil. By this sign we rise up and stake our lives of the promises of the living God. This sign renews our pledge to take our stand on what is good, beautiful, and true. The promises that we renew by this sign of blessing also include the decision to stand up for and live by the Holy Trinity. This sign affirms that we believe that the God who reveals Himself as Father, Son, and Holy Spirit has revealed not an appearance, but the fullness of the divine mystery itself. It is not an appearance that rectifies our being, but our dignity finds its footing the mystery of God Himself. When we bless ourselves, we affirm that above the heavens and below the earth, the Uncreated Love of the Trinity circumscribes and holds together everything visible and invisible. Our blessing renews our commitment to live by love and die by love. We signify with this sign that we have pledged our lives, our honor, and everything we hold dear to affirm this truth about God to our last breath. To renew our pledge to the Trinity through this sign does not mean we simply believe the Trinity exists or what the Trinity has revealed; we also believe for the sake of God, because we love Him. If we love Him, we love all those He has created in His wondrous love. The Sign of the Cross renews this solemn devotion. Ending with “Amen,” a declaration of truth before God (see CCC 1061–1065), we renew our irrevocable pledge of devotion to Him, and acknowledge that He is ever devoted to us. This article is from a chapter in FIRE FROM ABOVE. Click image to preview other chapters. The saints use the Sign of the Cross as a shield, a protection against all evil, all diabolical irrationality. As she grew into spiritual maturity through prayer, Saint Teresa of Ávila came to un­derstand the importance of this sign. In fact, the first part of her Interior Castle suggests that if we do not enter more deeply into our hearts by disciplined prayer, we are unnecessarily vulnerable to anti-human spiritual forces. She describes such forces as poisonous snakes, toads, and lizards that are always trying to frighten us away from a true encounter with the Lord. They are constantly trying to undermine our faith. She advocates making the Sign of the Cross as a sure way to stand firm against their attacks on our trust in God. She simply assumes that this physical action has spiritual power to deepen our confidence in such times of trial. Going back even further, Saint Anthony of the Desert, a third-century Egyptian hermit, also encouraged the Sign of the Cross. He used it to combat all kinds of confusion, terror, de­ception, depression, frustration, nostalgia, discouragement, and contention and a long list of other vexations that often haunt those who take up the battle to pray. Dehumanizing irrational­ity is rendered powerless when exposed to the divine rationality of God’s love revealed in the Cross. Saint Athanasius explains in his Life of Antony that the ancient forces that oppose what is genuinely human are in fact irrational and are powerless in the face of the truth. That is why they always work on the level of deception — misrepresenting the facts to confuse, seduce, and discourage. When we do nothing to defend ourselves against their efforts to pull us into their dark swamps of demented reasoning, we soon find ourselves engaged in self-destructive activities. Forsaking the physical and bodily dimension of our prayer can have perilous consequences. If we do not use our bodies as in­struments of grace and sanctify them by holy gestures and words, we are more inclined to allow ourselves to be duped into self-destructive practices. When we do not realize that our faith is not simply a nice idea or religious fantasy to think about during the holidays, then, in the difficult grind of day-to-day existence, our tormented spirits will come to see the body as a burden and its destruction as a means of escape. The demonic is very real. We should not be overly curious about it, but we should not be indifferent either. I asked one young person why she was cutting herself. She explained to me that it was the only relief that she could find from the pain that burdened her heart. The idea to do this was not something that she thought of on her own. It was suggested to her in her own mind while she was by herself. She could not recognize the demonic deception, and the physical self-abuse seemed to work — for a while. Yet this only led to a greater sense of alienation and inclination to self-destruction. By herself, she was unable learn how to combat this kind of thinking. She needed the help of others, in whom she could confide and who would help her discern. This kind of spiritual attack involves not only an increasingly common psychological pathology, but also illustrates that our minds and bodies are connected. If we do not respect this connection, we are open to all kinds of dangers — psychological, physiological, and spiritual. As happened to this young lady, evil spirits want to rob humanity of its trust in God and in others; for without trust in God’s love, even the youngest and brightest among us are subject to every irrational impulse. In addition to getting young people to trained counselors to help them deal with the events that dispose them to this behavior and having the courage to enter into their hearts, it is also helpful to give them spiritual signs that they can offer with their bodies. In the face of this, the Sign of the Cross is a physical reminder of God’s love for humanity and the greatness of human dignity that flows from this love. It connects our bodily life here below with the heavenly life from above. When the Christian mindfully blesses himself with faith, the reason to trust God is signified with the body. A soul grounded in such trust and rooted deeply in the truth can be tried by all kinds of malicious falsehood, but as long as it remains under the Sign of the Cross, it can never be overcome. In the age of chivalry, Saint Dominic would also arm himself with the Sign of the Cross. Before any prayerful study of the Bible or the Fathers of the Church, he would bless himself. As he marched miles and miles to preach the gospel, he would sign himself so frequently that he looked as if he were swatting flies. To study the Word of God prayerfully and to preach it to oth­ers requires that we enter into a vulnerable place where thoughts opposed to God can sometimes assail us. These come from dehumanizing forces both within and beyond our own psychology. Whatever their source, they want to oppose us and discourage our efforts. Making the Sign of the Cross deliberately and with faith protects us from any suggestion that prayer is a waste of time, or something to put off until later, or else something to become proud over. These kinds of thoughts are, after all, demonic ideas, ideas in direct opposition to the reality of prayer. When we bless ourselves with this sign, these falsehoods are revealed against the prayer offered for us by the One who was crucified by love. For most Christians, especially the persecuted and those who are facing death, this sign is an occasion of hope and a source of strength. We make this sign as an expression of solidarity with all those who have gone before us marked by the sign of faith. It is the sign of our common forefathers in the faith — of countless men and women who courageously accepted every trial, persecution, rejection, imprisonment, torture, and even death. Their complete trust in the Holy Trinity, all the way to the end, helps us to see the truth of God’s love. Thus, when we make the sign of blessing that they made before us, we too find the courage to accept this blessing and to stand firm in our faith. Making the Sign of the Cross involves the decision to choose the Cross as one’s standard in life. The sign is a reminder that every decision and action ought to be a response to the love the Lord revealed on the Cross. This love is a true sacrificial love, and to respond, one must be ready to make real sacrifices of love in the circumstances of one’s life. In the face of this reality, all one’s actions are endowed with a spiritual meaning. That which one does in his body, through his actions and the movements of his heart, and also what he fails to do, is either an acceptance or rejection of the love expressed in the Sign of the Cross. Thus, when we make this sign, not only with our hand but also with the intention of our heart and the attention of our mind, we begin to pray, not only with our bodies but also our spirits. In this way, Christian prayer is meant to be profoundly whole — body and soul, affection and thought, heart and understanding. Such prayer leads to courage, the movement toward reconciliation with God, the beginning of a pilgrimage to our Father’s house. 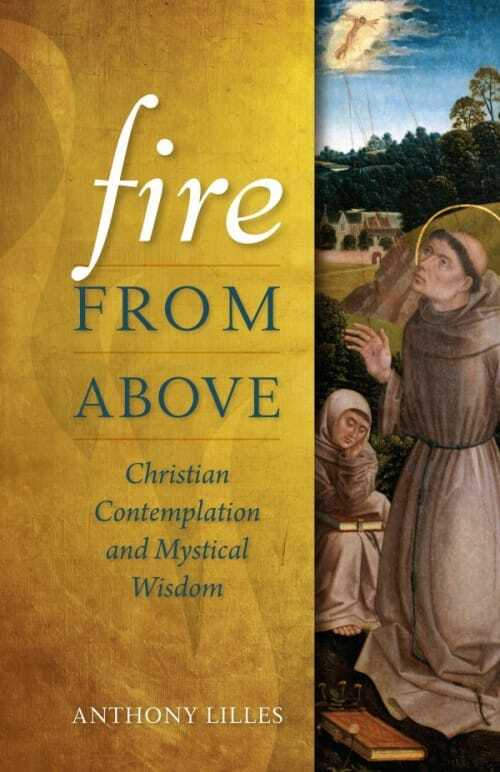 Editor’s note: This article is from a chapter in Dr. Lilles’s Fire from Above: Christian Contemplation and Mystical Wisdom, which is available from Sophia Institute Press. Anthony Lilles is co-founder and Academic Dean of the Avila Institute for Spiritual Formation and also serves as the Academic Dean and Associate Professor of Theology at St. John’s Seminary. He is a founding faculty member of St. John Vianney Theological Seminary where he was Academic Dean for nine years. Dr. Lilles has provided graduate level courses on a variety of topics including the Eucharist, the Sacraments of Healing, Church History, Spiritual Theology, Spiritual Direction and on various classics of Catholic Spirituality.